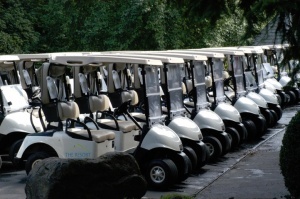 For any golf course, industrial or military complex using electric golf carts we all know how difficult it can be to maintain lead acid batteries. 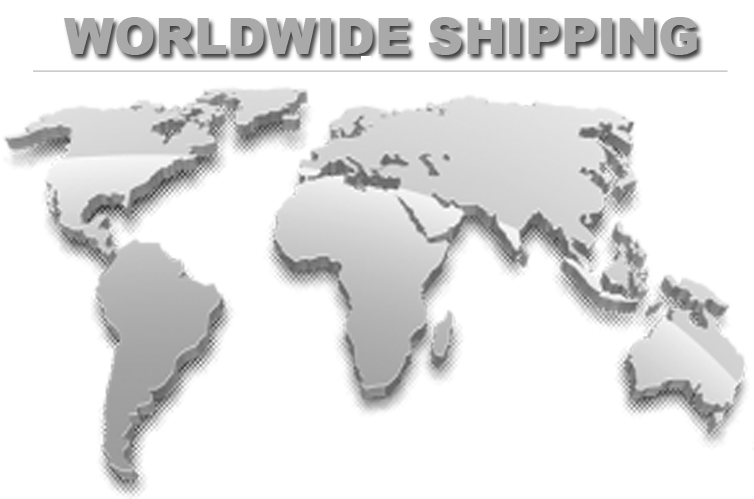 Now Smart Battery® Lithium Ion Batteries are revolutionizing our industry with ZERO maintenance lithium ion batteries that last 10X longer than lead batteries. MORE EFFICIENT - Lead acid batteries loose 15% or more energy while charging due to heat loss, Because Smart Battery® Lithium Ion Batteries are 99.1% efficient you will not be throwing money away while you charge your batteries. LESS WEIGHT - Smart Battery® Lithium Ion Batteries are generally 70% lighter than lead acid batteries while providing more power. This means less wear and tear on your grass and longer run times in between charging. Another important feature benefit of less weight is less wear and tear on the vehicles electric motor, brakes, suspension and tires. 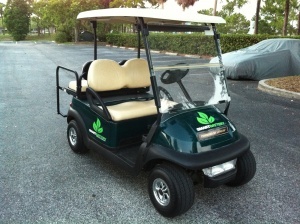 sometimes switching your golf cart from lead to lithium can equal over 450 lbs. of weight savings..
LONG LIFE - How often are you replacing your lead acid batteries? 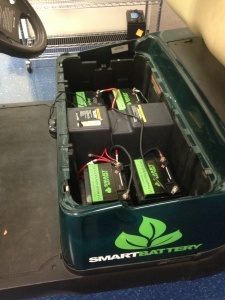 With a Smart Battery® you will easily get between 3000 - 5000 cycles and over 10 years of service. Quickly installs using the OEM cables. 12V 40AH only weigh 15 lbs each - 60 lbs total! Uses Standard club car 3 prong charging plug.